Measure learning by aligning student work to learning targets. Easily capture mastery data to analyze and inform instruction. Separate formative assessments (practice) from summative scores when calculating grades. Easily form dynamic groups and differentiate instruction. Use a wide variety of grading algorithms (Power Law, decaying weights, median, mode, etc). Summarize many targets into an overall grade for transcripts, eligibility, etc. 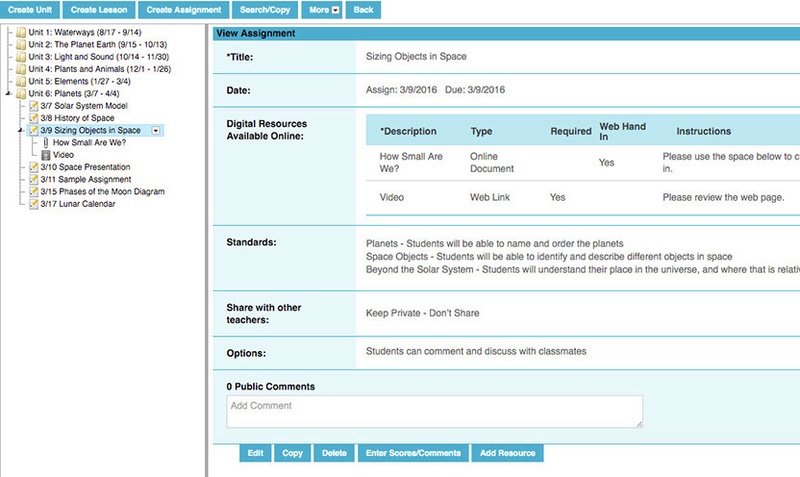 Tight integration flows data from assessments into report cards. Make grades reflect learning, not "the game of school"
Teachers often struggle with standards-based grading when they attempt to use their existing student information system (SIS). These systems typically weren't built with standards in mind. 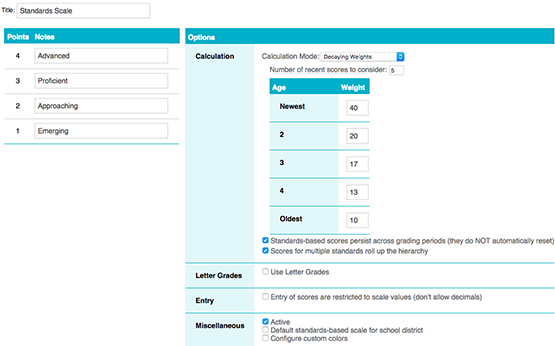 The TeacherEase standards based gradebook was built specifically for standards-based grading. 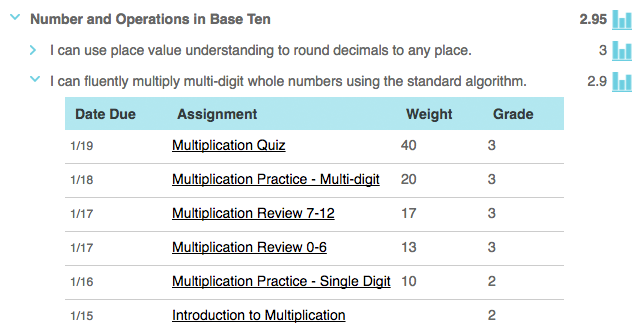 Each assignment can aligned to one or more standards/learning targets. This clearly defines the objective of the material. 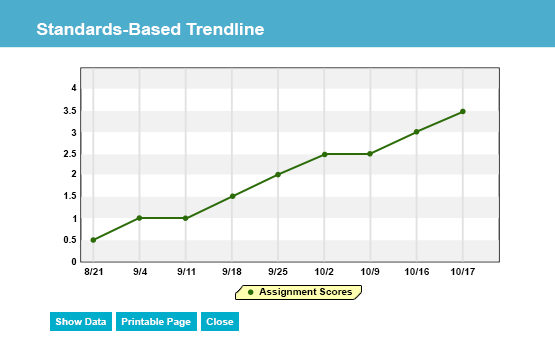 For each learning target on an assignment, enter a standards-based score. This allows frequent measurement of student performance. This works for both daily formative(practice) and less-frequent summative assessments. Expand/collapse the layout to easily view and enter scores. 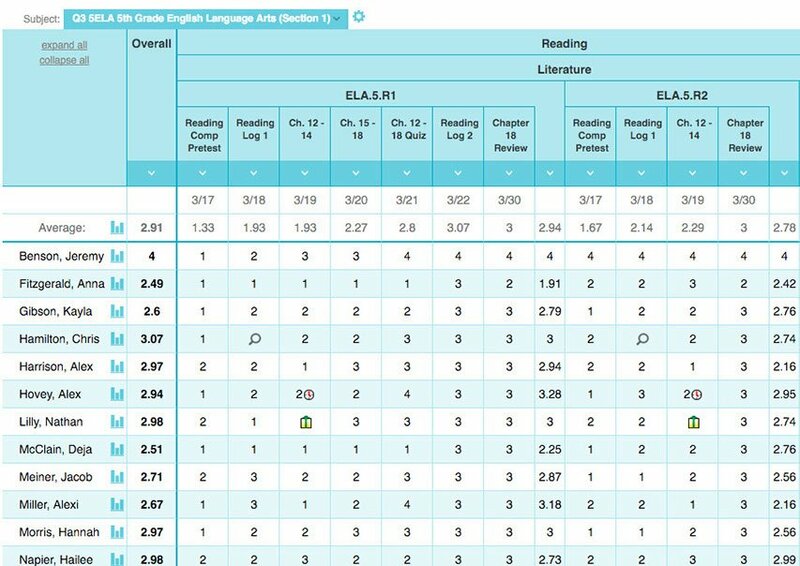 Standards-based grading data can be complex, and TeacherEase is designed to help users view and understand it. There are a number of algorithms for combining multiple standard-based scores into a current mastery level. TeacherEase supports most popular ones. Scores for individual standards can be rolled up into overall course mastery. If there are categories of standards, sub-totals can be generated as well. Many teachers want students to feel safe when doing formative assessments (practice). While they often score formatives to inform instruction, they don't want it to count toward grades. 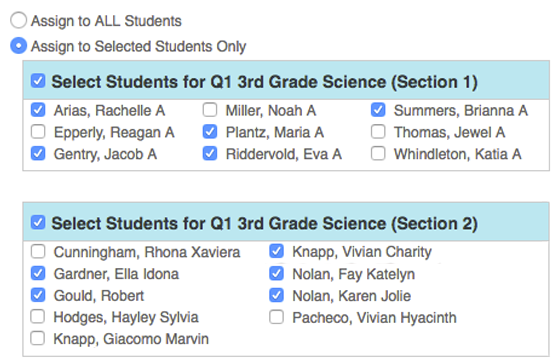 TeacherEase supports excluding formatives from grades, and can hide them on the parent portal too. Create scales that are numbers only (e.g. 1, 2, 3, 4) or letters too (e.g. A-Advanced, M-Meets Expectations, D-Developing, B-Beginning). Each organization can configure its own scales. Students progress through the curricula at different rates, and often need different activities. TeacherEase supports differentiation based upon student mastery. It’s easy to give reinforcement activities only to students who need extra practice, or provide enrichment to students who quickly master the concepts. Sort students by standards-based score to identify similar skill groups. Assign appropriate activities to students at the same level. Differentiate instruction within the classroom. Manage independent work at varying mastery levels. 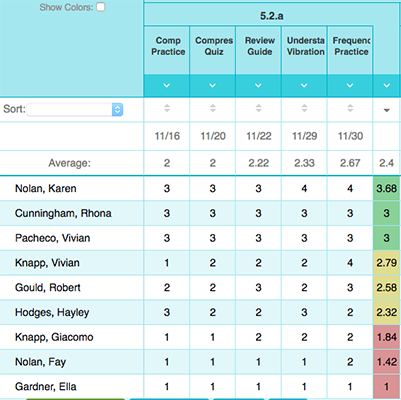 Run mastery reports across a grade level to identify dynamic groups. Teachers can exchange students to form classrooms with less variability in mastery level. Understand class competency and inform instruction. Perform group instruction if appropriate for a large number of students. Monitor student improvement over time. Often organizations who move to standards-based education will still need to maintain more traditional processes like eligibility, honor roll, transcripts, etc. Overall standards-based scores can be used to meet these requirements, and can also be converted into “A, B, C” grades at the end of a marking period. Standards-based grading often leads to differentiated instruction, which requires more planning effort and is often impractical for individual teachers. While most teachers can’t build multiple lessons and assessments every day, an organized teaching team can. TeacherEase provides a learning management system that allows teams to cooperate and share planning work. When paired with the gradebook, teams can find or build resources to meet all students' needs. TeacherEase is a suite of tools to address standards-based education: align to standards, common and formative assessments, standards-based report cards, instructional content management standards based gradebook, and parent portal. Matt Townsley: What is standards-based grading? How do I explain standards-based grading to parents?